Blogging. Press a button and it's out there; you're published. A book, well that's really hard graft. 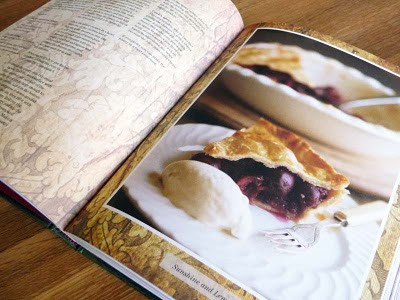 A Slice Of Cherry Pie isn't just another cook book to us food bloggers. It represents a dream that I believe a few of us may have - to publish our own book, to read our words physically, not through a glaring, lonely computer screen and to have the sweet pleasure of sniffing the ink of freshly printed pages (the last bit could be just me, I've been an irreconcilable print sniffer for many, many years). One day I hope to hold the fruits of my labour in my palms too. Maybe. I actually think this is actually the first proper UK food blog-to-book to have been published, following in the footsteps of French-based Chocolate & Zucchini and US Julie & Julia who we all know goes one step further as a film. I can only imagine the excitement, hysteria and pride that the blogger in question, Julia Parsons, must have felt when she held her book in the flesh. And proud she should be too because this is a beauty. A Slice Of Cherry Pie is so outrageously homely and comforting and makes even a miserable little toad like me smile with joy reading it. Not just for the kitchen, this is a good book for reading snuggled up in a blanket or, in warmer seasons, swaying in a hammock in the garden with a glass of homemade lemonade. I mean there is even a recipe for chocolate, film and bed socks! As charming as it is, some people could find ASOCP a little sugar-sweet in tone but the writing undisputedly comes from the heart and it would be impossible not to warm to it. 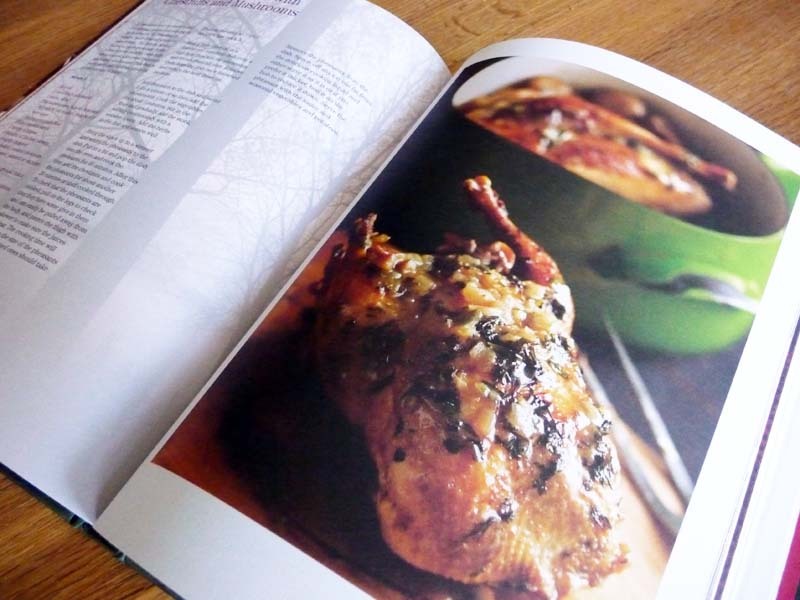 Section titles like Sunshine and Lemons, Wood Smoke and Roasts and Linen and Tea Roses conjour up the ethos for seasonal eating and recipes are generally simple yet delicious examples of everyday eating. From Summer Pavlova to Pot Roast Pheasants with Chestnuts and Mushrooms to a simple Tomato Relish, these recipes are all things you will want to make and want to eat. I won my British husband over with my Italian cooking and although I rarely cook British food, when I do, you can tell he really enjoys it. I sometimes even catch him longingly looking at pictures of roasts and pies! ASOCP contains a bevvy of beautiful, homely and practical classic British dishes such as stews, casseroles, dumplings and crumbles and practical pages on gravy, potatoes, stocks and Yorkshire puddings, so this is a real education for me with lots of great advice - I'll make a good British wife of me yet! Design-wise, Absolute Press have created yet another visually stunning book, with strong type, beautifully styled photography and a coherent theme. 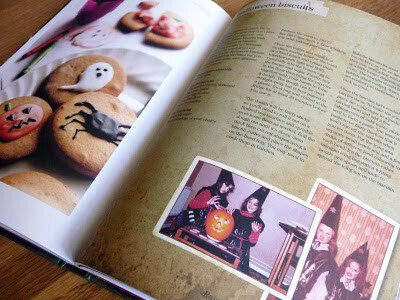 I love how the blog has been incorporated and the little snippets, family photos… it feels scrapbooky and personal yet neat, professional and structured at the same time with a nice tight grid. No mean feat. 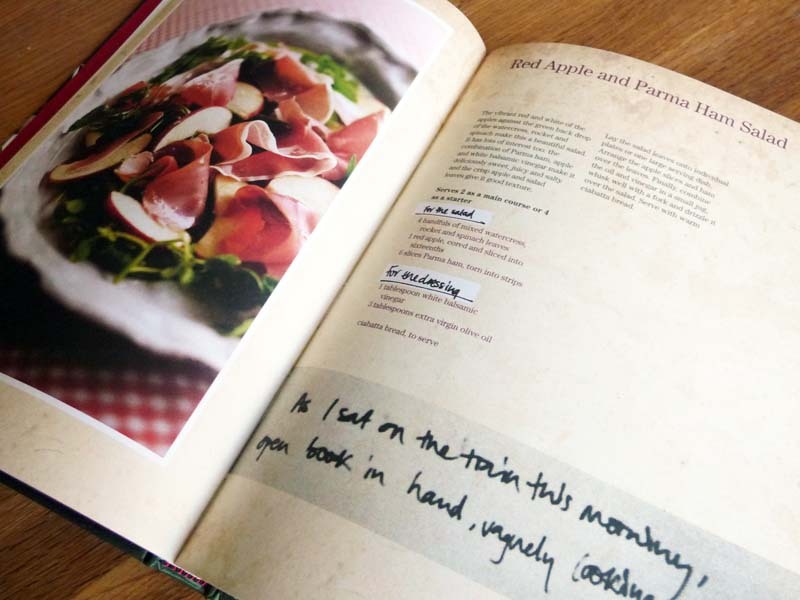 As you know I like to test a couple of recipes before I review a book (otherwise you may as well read the blurb on the back of the book) and it was difficult to choose what to do as there were so many recipes I wanted to try. 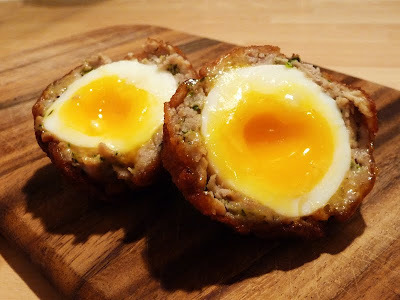 Having never made scotch eggs before, and only tasting the sweaty shop bought versions, these were a revelation and rather simple too. Making them yourself gives you the added bonus of the control over your yolk preference. They were excellent with easy to follow instruction and great advice in the stages that required it. A pot roast was another dish I have never made before. Again this was really easy, being more of an assembly job than cooking, the recipe delivering another excellent result. 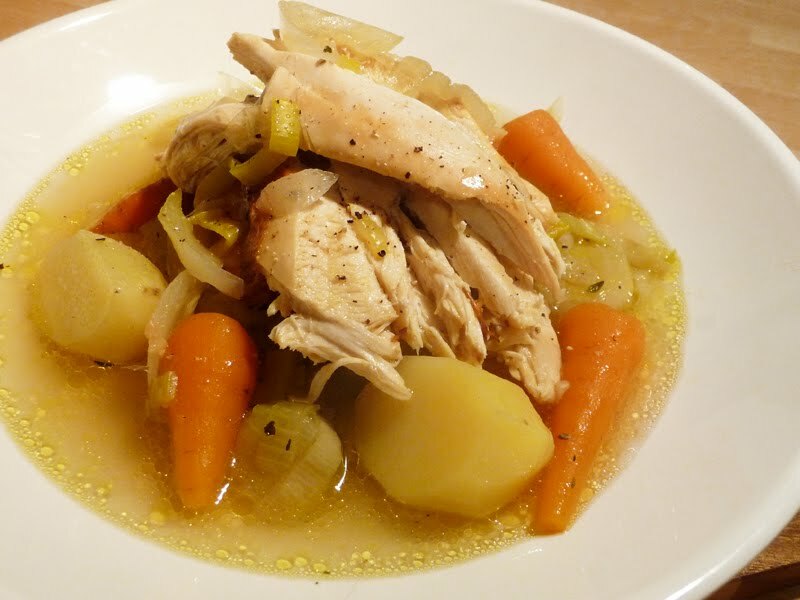 The broth was heavenly and the dish was a nice, lighter and warming alternative to a Sunday roast. I shall definitely be trying out quite a few of the others, with the results for both dishes I tried giving me a strong trust in the recipes. Whether you are a food blogger yourself or if you fancy a personal collection of no-nonsense recipes served up with a huge side order of charm, then A Slice of Cherry Pie is an ideal book for you. A Slice of Cherry Pie by Julia Parsons is published by Absolute Press and costs £16.99. 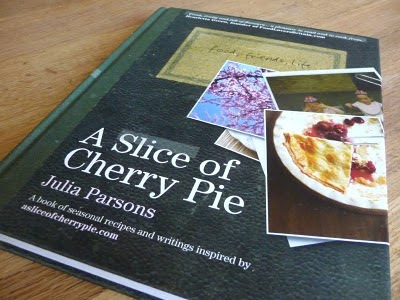 You can read A Slice of Cherry Pie blog here. Many thanks to Absolute Press for this copy to review.